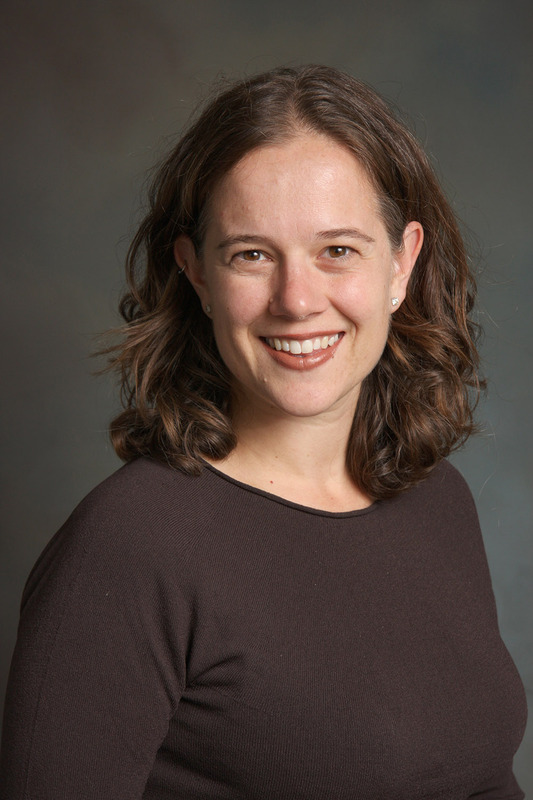 Johanna Hardin’s research involves analysis of different types of high-throughput data, arising from study of the human genome, that don’t conform to the usual assumptions needed for statistical analyses. Currently, she is developing new statistical techniques to analyze such data, with particular interest in clustering, correlation and outlier detection. Hardin chose to become a statistician because of the myriad of different mathematical applications to the real world available in the field. Having had the opportunity to work in the medical field, deriving methodology to analyze a new branch of science arising from the study of the human genome, she remains interested in different types of high-throughput genetic data that don't conform to the usual assumptions needed for statistical analyses. Currently, she is using robust correlation and clustering methodology to develop new statistical techniques to analyze biological data. Hardin, J. “Fun, Not Competition: The Story of My Math Club,” Journal of Humanistic Mathematics, 8(1): 350-358, 2018. Pan, Y., Duron, C., Bush, E., Sims, P., Hardin, J., Radunskaya, A., and Gutmann, D. “Graph Complexity Analysis Identifies an ETV5 Tumor-Specific Network in Human and Murine Low-Grade Glioma,” PLOS ONE, 13(5): e0190001, 2018. Hardin, J. Fun, not competition, inspires this math club, Journal of Humanistic Mathematics, in press. Pan, Y., Duron, C., Bush, E., Sims, P., Hardin, J., Radunskaya, A., and Gutmann, D. Graph Complexity Analysis Identifies an ETV5 Tumor-Specific Network in Human and Murine Low-Grade Glioma, PLOS ONE, in press. *Brieger, K, and J. Hardin. Medicine and Statistics: the inextricable link Chance, 25 : 31-34; 2012. *Head, A., Hardin, J., Adolph, S. New methods for estimating maximum performance and the correlation of sample measures, Environmental and Ecological Statistics, 19: 127-137; 2012. Grosfils, E.B., *Long, S.M., *Venechuk, E.M.,* Hurwitz, D.M., *Richards, J.W., *Kastl, Brian, *Drury, D.E., and Hardin, J., 2011, Geologic map of the Ganiki Planitia quadrangle (V-14), Venus: U.S. Geological Survey Scientific Investigations Map 3121. *Richards, J., Hardin, J., Grosfils, E. Weighted Model-Based Clustering for Remote Sensing Image Analysis, Computational Geosciences, 14: 125-136; 2010. *Yiu, G., *McCord, A., *Wise, A., *Jindal, R., *Hardee, J., *Kuo, A., *Yuen Shimogawa, M., Cahoon, L., Wu, M., Kloke, J., Hardin, J., Mays Hoopes, L.L. ; Pathways Change in Expression During Replicative Aging in Saccharomyces cerevisiae, Journal of Gerontology, 63A: 21-34; 2008. Adolph, S., and Hardin, J.; Estimating Phenotypic Correlations: Correcting for Bias Due to Intraindividual Variability, Functional Ecology, 21: 178-184; 2007. *Wise, A., Hardin, J., Hoopes, L.; Yeast Through the Ages: a statistical analysis of genetic changes in aging yeast, Chance, 19, 39-44; 2006. *Hardin, J., Hoopes, L., *Murphy, R.; Analyzing DNA Microarrays with Undergraduate Statisticians, Proceedings of the Seventh International Conference on Teaching Statistics, 2006. Altman, N., Banks, D., Hardwick, J., Roeder, K., Craigmile, P., Hardin, J., and Gupta, M. The IMS New Researchers’ Survival Guide, Institute of Mathematical Statistics; 2005. Hardin, J.; Microarray Data from a Statistician’s Point of View, STATS, 42:4-13; 2005. Hardin, J., Waddell, M., Page, D., Zhan, F., Barlogie, B., Crowley, J., Shaughnessy, J.; Evaluation of Multiple Models to Distinguish Closely Related Forms of Disease Using DNA Microarray Data: an Application to Multiple Myeloma, Statistical Applications in Genetics and Molecular Biology; vol 3, article 10; 2004. Hardin, J., Rocke, D.; Outlier Detection in the Multiple Cluster Setting Using the Minimum Covariance Determinant Estimator, Computational Statistics and Data Analysis, 44: 625-638; 2004. Durbin, B., Hardin, J., Hawkins, D., Rocke, D.; A Variance-Stabilizing Transformation for Gene-Expression Microarray Data; Bioinformatics, 18: S105-S110; 2002. Zhan, F., Hardin, J., Kordsmeier, B., Bumm, K., Zheng, M., Tian, E., Sanderson, R., Yang, Y., Wilson, C., Zangari, M., Anaissie, E., Morris, C., Muwalla, F., van Rhee, F., Fassas, A., Crowley, J., Tricot, G., Barlogie, B., Shaughnessy, J.; Global Gene Expression Profiling of Multiple Myeloma, Monoclonal Gammopathy of Undetermined Significance, and Normal Bone Marrow Plasma Cells; Blood, 99: 1745-1757; 2002. Coleman, D., Dong, X., Hardin, J., Rocke, D.M., Woodruff, D.L. ; Some Computational Issues in Cluster Analysis with no à priori Metric; Computational Statistics and Data Analysis, 31: 1-11; 1999.